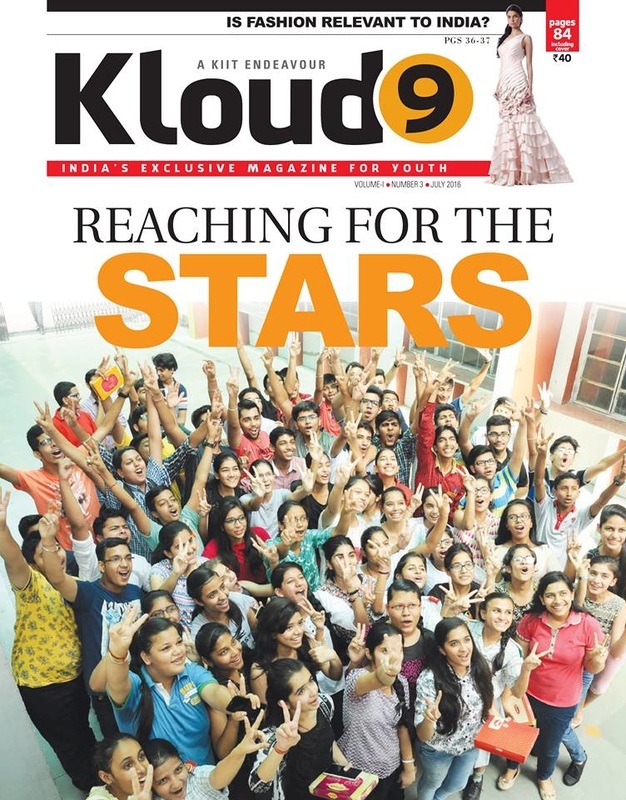 Kloud 9 is a children’s quarterly magazine published by KiiT International School, Bhubaneswar, which is a constituent of KIIT Group of Institutes. It was launched by Mr. Ruskin Bond, who is the Chief Editor of this magazine as well as the Brand Ambassador of our school. 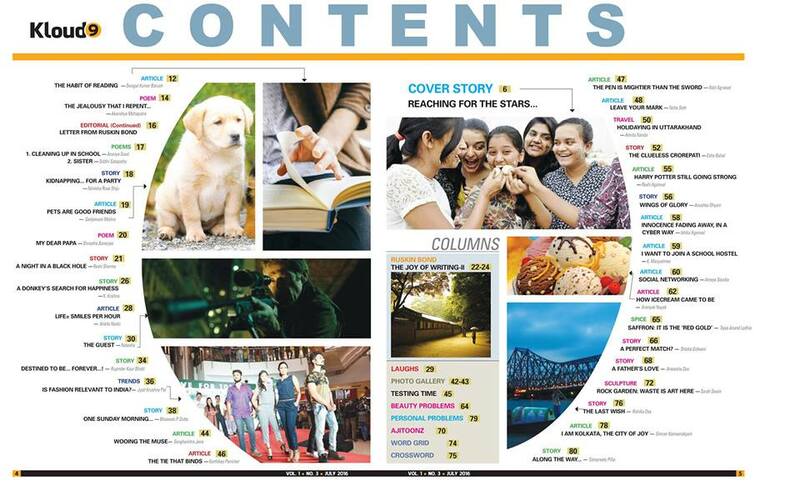 The speciality of this magazine is that it publishes short stories, poems and articles written by students from schools all over the country and also from schools abroad. Through this magazine students get an excellent opportunity to showcase their literary and creative talents at the national level. They are also paid token prize money if their stories are published. Every issue carries a short story by Ruskin Bond, which is written specifically for Kloud 9, and which has not been published elsewhere. We would like all students to get an opportunity to read this excellent magazine. We would encourage all schools and students to subscribe to this magazine. Subscriptions rates are very reasonable. Students who wish to send any writing for publication in Kloud 9 may read the guideline for submission mentioned in this file.